You might be familar with a “dual serial” number car in 1968, but has anyone here seen a “triple serial number” car? How are you defining this? 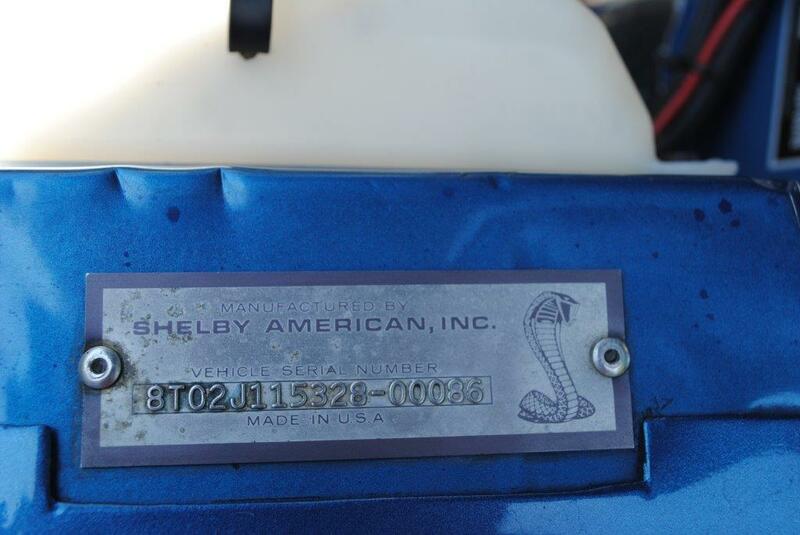 I've seen maybe two '68 Shelbys that had the Ford number stamped, not under the Shelby VIN tag but alongside of it. It might have even been stamped there twice and is was crooked at that. I don't remember where I saw the car but likely at one of the Conventions and on display in the Popular vote show? Maybe at one of the Charlotte's? Is that the car(s) you are talking about? Maybe there were two? I don't remember that as an 8D car though? My car has a double stamp, (same VIN stamped twice, just offset a little bit) does that count? If you mean the Ford VIN stamped 3 times on the body ( not counting buck tag, door data plate, windshield VIN tag, engine and transmission stamping ) , then yes. If you mean three different VIN's then no. 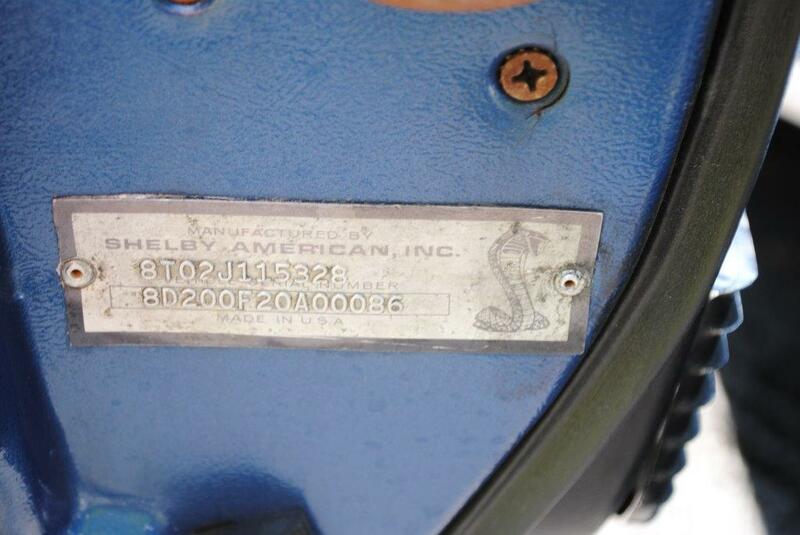 Not talking about Ford VIN stampings, but the Shelby serial numbers stamped three times into the tags. Same number three times? Or three different numbers? Then no, but I want PICTURES! Okay, I can do that..
Another original tag on the back of the door, with two more serial numbers. Presto! Triple serial number car. I believe these were built on Day 1 of production only. I suspect there are less than 20 of these cars in total. What about the buck tag since we're "talking" Shelbys? ? Looks to be the same (the tag) as a dual VIN car just located in a different place. I would still call it a dual serial numbered car, as it only has 2 different VIN's.